Love flats but hate how uncomfortable they are? I have a secret that has me loving wearing flats again! When I used to work outside the home, I loved to wear flats. There were so many cute designs, however, at the end of the day my feet were killing me! I finally wised up and just started to overlook flats all together. I was over the pain. I got rid of every pair of flats I owned. I needed comfort over cuteness. Fast forward to present day, I am starting to love flats again! Yay! 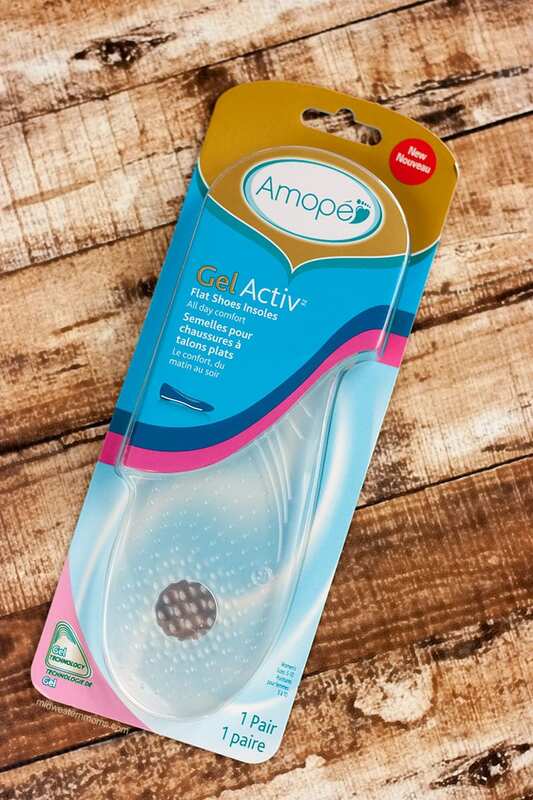 I was asked to give Amopé Gel Activ Insoles Flat Shoes a try. Of course, I was skeptical that insoles could really make a difference in wearing flats. Honestly, I was wondering how these insoles would fit. Personally, I was thinking of the thicker type insoles that I used before. Insoles for flats can be tricky, too thick and the shoes don’t fit properly. Too thin and they are no good. But I had to try these insoles out. I mean, if there was a possibility I could wear cute flats again, you bet I want know if they made flats more comfortable. Surprisingly, the Amopé Gel Activ Insoles are thin and they work! 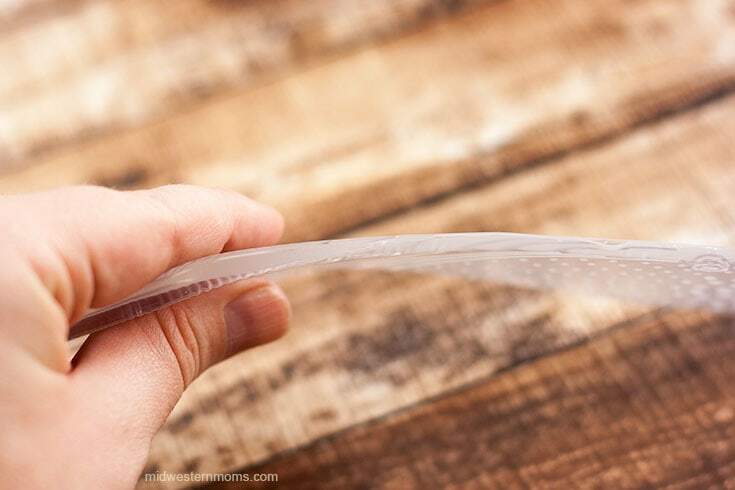 Check out how thin the Amopé Insoles are! 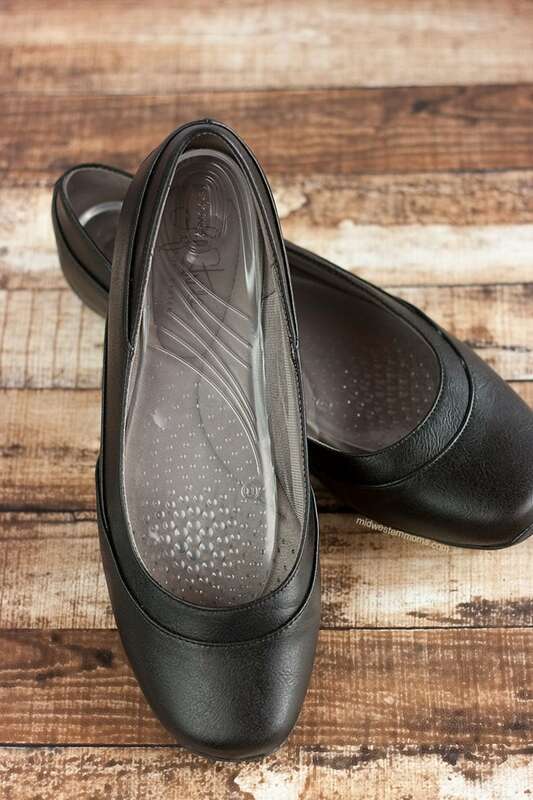 The perfect size and comfort for flats. With the Amopé Gel Activ Flat Shoe Insoles, I can wear flats again and not have to deal with the pain of being uncomfortable! They are amazingly comfortable! Step 1: Make sure the inside of your shoes are clean and dry. Step 2: Identify the Left and Right Insole (they will have an L and R) and the respective shoe. Step 3: Peel the plastic backing off the insole. Step 4: Place the insole inside the corresponding shoe, sticky side down of course. Make sure to line up the heel of the shoe with the heel of the insole. Make sure to replace the insole after 6 months or at the first signs of wear. Amopé Gel Activ Insoles are made with a super concentrated gel and they are 25% thinner than other insoles available. They fit even narrow shoes without crowding your toes! They have a sticky material on the back of the insole so there is no movement of the insole while using them. They also don’t lose their traction when you move them from one shoe to another! The support is tailored to the pressure points created by different types of shoes women wear. 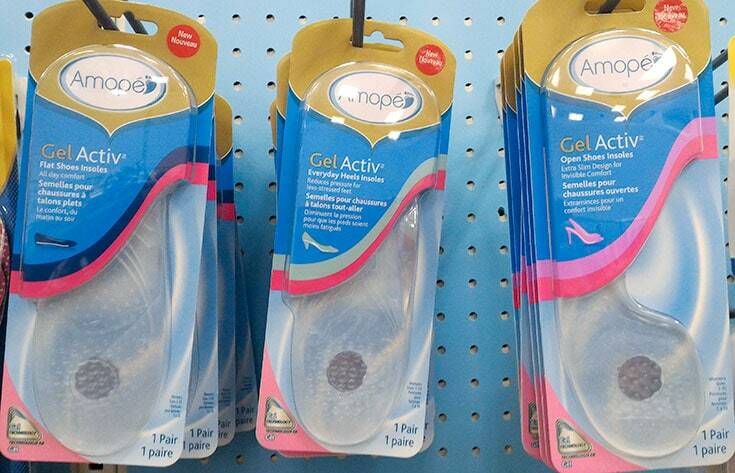 Amopé Gel Activ Insoles Everyday Heels are perfect for normal sized heels that a person would mostly wear. Amopé Gel Activ Insoles Extreme Heel is for those extra tall heels women love to wear. Amopé Gel Activ Insoles Open Shoes are perfect for open toed shoes that are enjoyed during the warmer months. Amopé Gel Activ Insoles Flat Shoes provide all day comfort while wearing flats. Want a coupon? Target currently has a Cartwheel coupon for 5% off Amopé Gel Activ Insoles! Which insole do you want to try next? Tell us by sharing your #ShoeLove and letting us know which #Amopé Insole you love. About how much do they cost? I have never been able to wear flats and I think they are so cute with certain outfits. I will have to give this a try. Thanks for the info. Good idea.